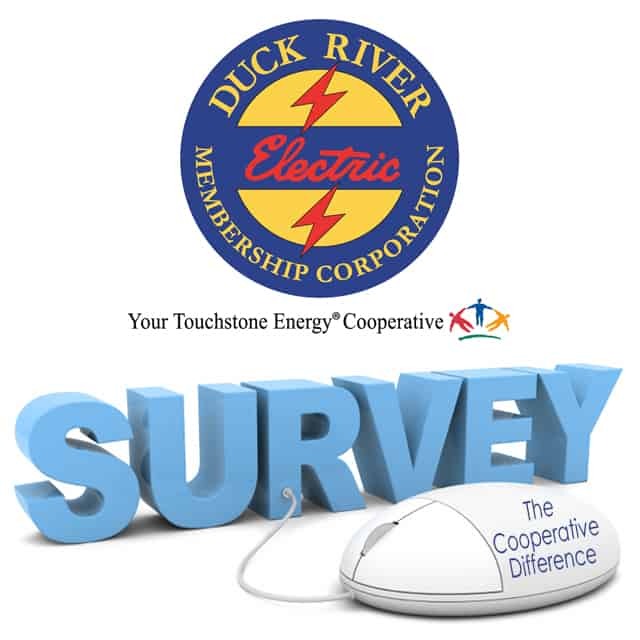 As part of DREMC’s ongoing efforts to improve the services it provides, the cooperative and Touchstone Energy will be conducting a member satisfaction survey focusing on The Cooperative Difference. The purpose of the survey, a national effort conducted by 50 of the nation’s top electric cooperatives, is to gather members’ feedback on how satisfied they are with different areas of service and what the cooperative can do to improve. Not all DREMC members will be selected to participate in the survey; those who are will be randomly selected. The survey is expected to take only 10 to 12 minutes. 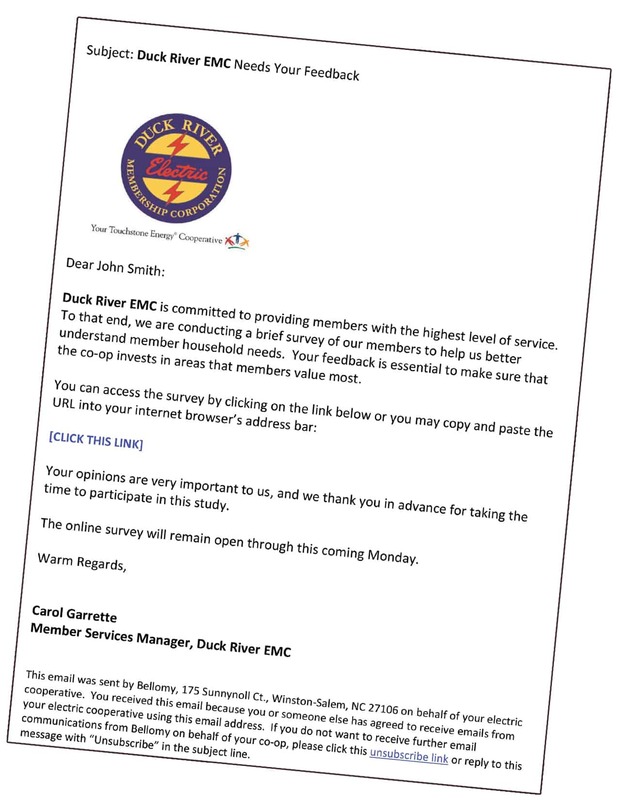 Some members selected will receive an email notification from DREMC, which includes our company logo, a brief explanation and link to the online survey. Others will receive a phone call from DREMC representatives. For those with caller ID, the call will originate from area code 336, and the surveyor will identify himself or herself as a representative of Duck River EMC.